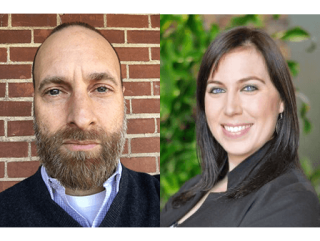 Planar and Leyard have added Megan Riddle and Richard Kondas to its North American Sales Team. Based out of the Washington, DC area, Riddle will join Planar and Leyard’s sales efforts in the DC Metro area (DC, Maryland, and Virginia). Riddle comes to Planar and Leyard with 10 years of business development and account management experience in a wide range of markets including audiovisual, advertising, and retail. Most recently, Megan was a business development manager for Bridges System Integration, where she built strong relationships, provided education, and was a valuable resource to her partners and customers. Based out of New York City, Kondas joins the organization as applications engineer for the Northeast USA sales team. He comes to Planar and Leyard with years of experience in hardware and system design, firmware, software, and control systems. Most recently, he was VP of multimedia engineering at Morgan Stanley where he was responsible for global creation and maintenance of multimedia standards. Prior to that, he worked at AVI SPL as a lead installation technician and on-site maintenance manager.